The Robotech CAD Solutions Technical Support group is a team of knowledgeable, dedicated application engineers ready and eager to assist with your CAD, BIM and CAFM software installation and support issues. We are equipped to streamline the installation and support of the products we offer, including Autodesk AutoCAD, AutoCAD Architecture, MEP, Revit BIM applications, ARCHIBUS Facility Management, Web Central and more. Our Technical Support will help you diagnose and solve any technical problems you might have with your system. 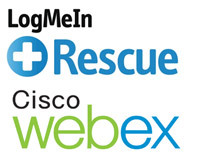 Our support technicians utilize LogMeIn Rescue & WebEx remote technology to troubleshoot and resolve technical issues as quickly as possible. These remote tools allows our technicians to easily view and interact with customers' desktops, servers and devices to resolve issues fast. This technology allows us to efficiently install applications and troubleshoot technical difficulties over a secure online connection with minimal customer input. When you purchase Autodesk Products from us you receive complimentary Level One Support. Click to learn more.